Modern Russian history is not very rich lightning military victories. The five-day 2008 war against Georgia differs from most previous and subsequent campaigns. Russian troops resisted the conventional army, not a terrorist underground. 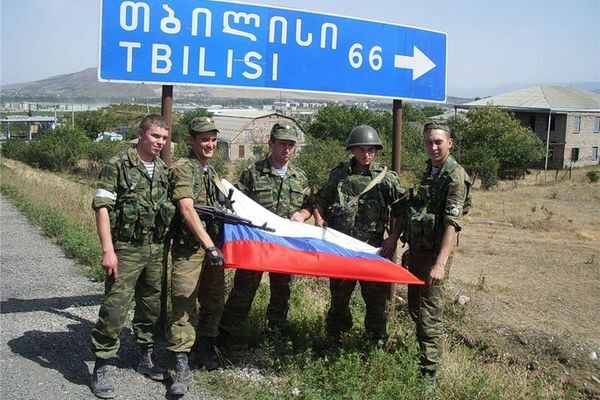 Protecting South Ossetia, Russian forces acted swiftly and decisively, demonstrating a complete tactical and moral superiority over the enemy. The collapse of the Soviet Union – a complex multinational system with many unresolved inter-ethnic problems that had been artificially maintained in the quiescent state from the centre for decades, has inevitably led to the development of these conflicts in the new environment. Throughout the former Soviet Union is a degenerated into open confrontation and clashes between representatives of different ethnic groups, defending their economic, political, cultural and other rights and interests. An example of this are the Georgian - South Ossetian conflict 1991-1992, the Georgian – Abkhaz conflict of 1992-1993, the Transnistrian conflict, the Moldovan-Gagauz conflict and so on. The article examines the tactical role of Georgia and Ukraine in the geopolitical confrontation between Russia and NATO. Given the retrospective and systematic analysis of playing by Brussels Georgian card in August 2008. In the end proves the thesis about the instrumental role of Ukraine as a second attempt by NATO to promote military infrastructure of the Alliance closer to Russia's borders.